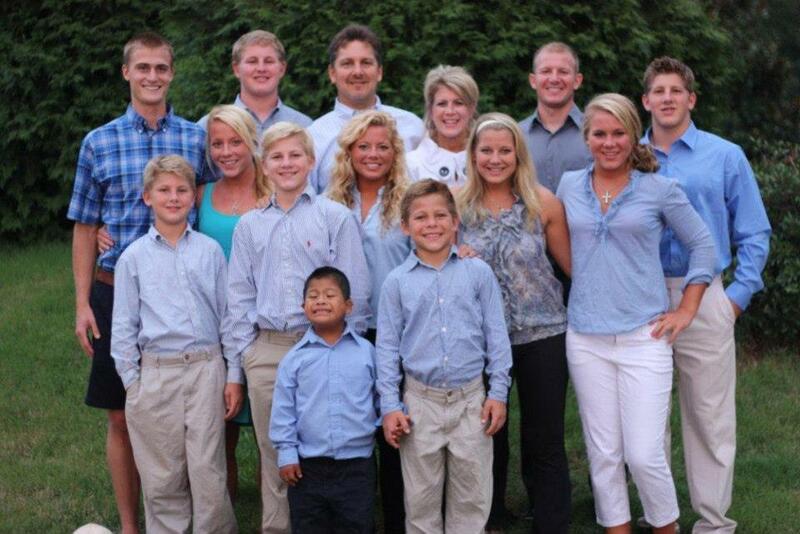 What Do I Give a Family with Eleven Kids? In April, it will be seventeen years that we built our home, which also marks another year out on our Homestead. Those who know me understand that “Homestead” is simply a fancy term for the land my brothers and I, along with our spouses, of course, bought together. Yes, we are raising our families on 40 acres of God’s beautiful NC land, along with 19 cousins, grandparents and now, the first babies. There’s always lots of life, lots of laughter, more beauty that I can fathom, and a fair mixture of bedlam moments. Fortunately for all of us, the gift of time, the gift of presence (not presents) and the gift of availability are all critical components in what makes our Homestead living work. Those are the best presents that we try to give year round, but still, I can never figure out that Perfect Gift.As in a gift that you buy and wrap. A few years ago, I created a free, printable Conversation Starters. It’s complete with 240 questions and printable labels to make for super cute gifts, and that has been a highlight gift of mine, but this year, yes, this year, I have found it! 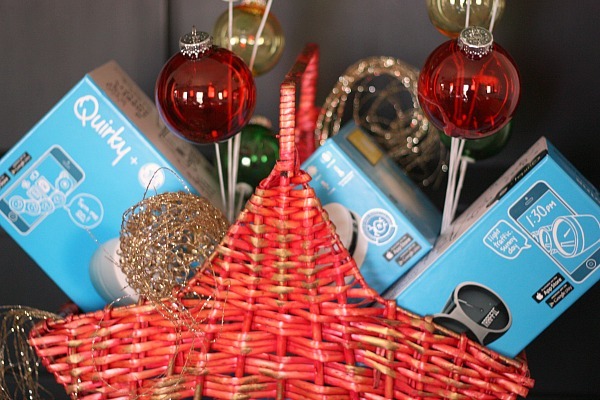 The perfect gifts for someone with eleven children. Ok, forget the eleven children. They do the thinking for you and don’t we all need that in our lives? Have you ever had that nagging thought in the back of your mind did I forget to turn on the dryer? Not mildewy clothes again! Did I leave the back door open? Well, you can imagine between our five children and my brothers’, we’ve had our fair share of panic situations over the years. A new and highly creative GE line of products has just been released. 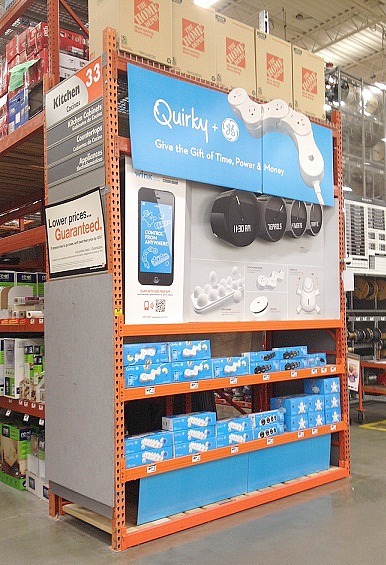 You may have seen the new Quirky line at your local Home Depot (LOVE that place). The first one, the Wink Spotter lets you know what’s going on at home – from anywhere. Monitor motion, sound light, temperature and humidity all from your smartphone. 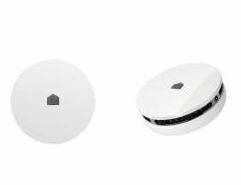 Use Spotter for everything from baby monitoring, intruder alerts, washer/dryer notification, to having the perfect temperature for your wine cellar. It’s the next product that stopped me in my tracks –The Pivot Power Genius. Technology amazes me and the cost of this could have saved our family (and my brother’s family) quite a few mishaps over the years. It controls power to anything from anywhere. This may look like a power strip, but it’s app enabled meaning it’s a smart outlet. Not just “smart,” but genius and it allow you to turn anything that’s plugged in on or off from your smartphone, either manually or you can set it through the calendar. 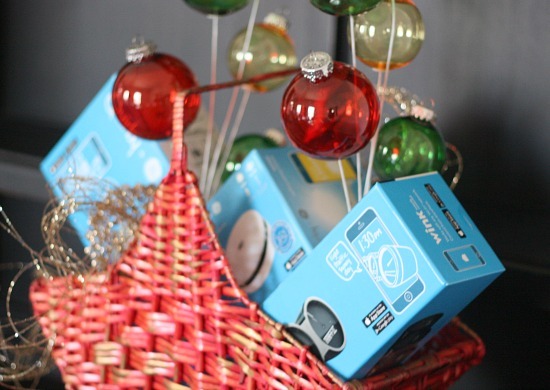 This time of year, you can turn all the holiday lights on and off remotely, and if you are traveling, you don’t have to wonder if you forgot to turn off any appliances, plus most importantly, you’ll never wonder if you forgot to turn that crock pot on ever again! Well, you will NOT have to worry about that anymore. You can turn it on remotely. Seriously. Is that not unbelievable? I’ve realized though I am getting older when one of the best new ideas is this Quirky Broom Groomer. Yes, I am definitely not high maintenance on my gifts. You can only imagine how much sweeping goes on between our two homes. I mean really, can you go there with me for one second? 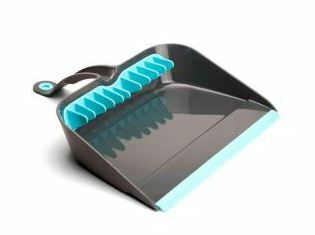 It’s a LOT of sweeping and it’s a pet peeve to sweep and sweep and have that little pile of dust NEVER go in the dust pan. Can I have a witness on that one? 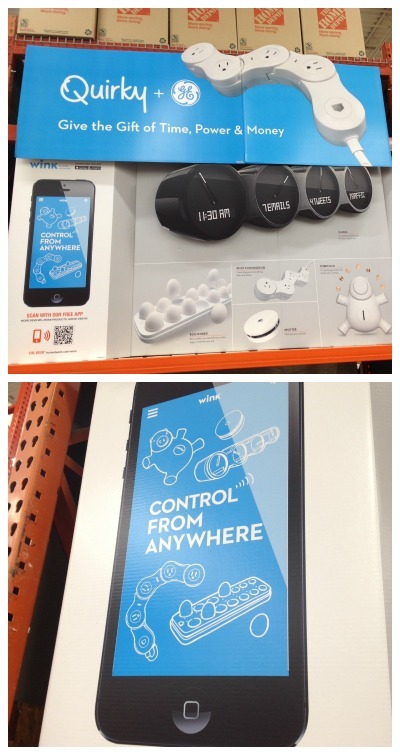 I could go on and one on these super unique and revolutionary new gadgets, but head to your local Home Depot or check them out online for yourself. I’m still amazed at how creative minds come up with these new inventions and I thank them, and my brother’s family thanks them because our lives will be easier. So, I am always up for great gift giving ideas? Help a sister out for next time? 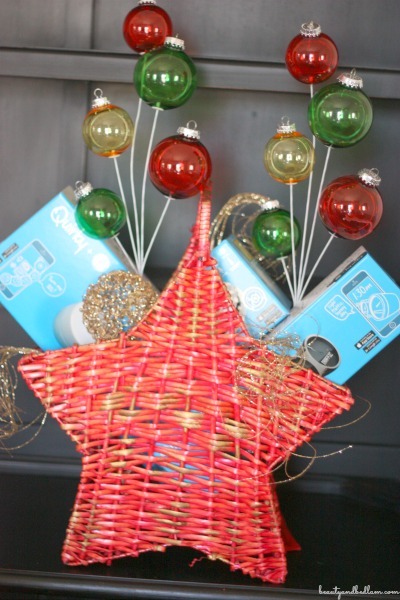 What are some of your unique gift giving ideas? Disclosure: I acknowledge that The Home Depot is partnering with me on this project and I am receiving compensation in the form of cash and gift cards. All expressed opinions and admittances of crock pot mishaps and others are my own. My post complies with the Word Of Mouth Marketing Association (WOMMA) Ethics Code and applicable Federal Trade Commission guidelines.” . That dust pan is pretty cool. I’ll have to look for it next time I’m at Home Depot. Ok…I have (soon to be) 13 children (yes, I know what causes that, too! *smile*). I would LOVE these gifts!! 😀 These are great ideas for a big family. I love that you all have a homestead – what an amazing way to be surrounded by family. 11 kids!? That’s awesome. Those products look fantastic and perfect for someone with a big ol’ family! I love that power strip! I need one of those. Wow! I thought I had a big family with four children! How amazing that you all live on 40 acres together! That must be so much fun… and fabulous for all of the kids! Love all of the products you featured! What a perfect gift! Wow these are all such cool gadgets! I am loving that sensor, what a great idea 🙂 I would love that power strip!